The REFOCCUS© Marriage Enrichment Inventory is a packet of five questionnaires that a married couple can use and score by themselves, as part of a weekend retreat, or in five weekly evenings in which the general topical areas are discussed with other couples. REFOCCUS is ideal for married couples who wish to spend time and energy on their relationship, but desire a little direction and skill building assistance in doing so. Growth and change are ongoing within marriage. REFOCCUS is designed to be used by a couple multiple times throughout their marriage. Each time a couple uses REFOCCUS, their responses are a snap shot of that point in time. Their current responses indicate: a) what needs discussing today, b) what the couple has achieved that can be celebrated, and c) what would benefit from further discussion. REFOCCUS is ultimately about bringing awareness to major aspects of marriage. Further, it is about the discussion that happens between the couple after taking the Inventory and the communication and problem solving that is utilized and developed. The REFOCCUS Inventory is designed so that a couple can self-administer the inventory and discuss between themselves, however, some couples like having a third-party to help facilitate their conversation. 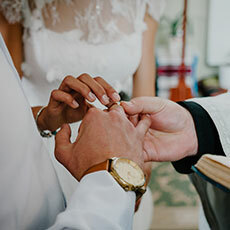 The inventory consists of seven topic sections including Marriage as a Process, Intimacy, Compatibility, Communication, Commitment, Empty Nesters and Ministry Marriages. The materials include the Inventory Couple aids to encourage couple discussion, answer sheet and preferred response sheet. If the couple previously took the 4th edition version of FOCCUS they can use that same account login information. If they have never used the FOCCUS Inc. USA website they will need to create an online account. After one person from the couple has created an account they move on to Step 3. Only one member of the couple needs to go online and purchase the REFFOCCUS Couple Inventory Packet. If a couple is working with a facilitator, their facilitator can order their REFFOCUS Inventory Packet. The Couple Packet includes two folders, each with all the materials. There are two ways to score the REFOCCUS Inventory. If a couple is doing the REFOCCUS Inventory on their own, they can self-score to produce a profile of their current strengths and challenges in the topic area and refer to relevant information and questions in the packet. If a facilitator works with the couple they can either self-score or they can create an online session and enter the scores online to produce the report. Couples are encourage to “go on a date” or spend time alone talking about the topics that sparked the most interest. Each member of the couple should pick two items (one area warranting celebration and one needing further discussion) to discuss at one time. REFOCCUS can also be used in a group setting as part of a weekend retreat or during ongoing gatherings with couples. The inventory is taken independently by each couple who discuss any sensitive issues privately between them, or with a facilitator. Only the issues they are comfortable sharing are brought to the larger group discussion. The larger group gathering also offers the facilitator the opportunity to present additional information for the topics they are discussing. Group leaders are encouraged to utilize the discussion prompts provided in the REFOCCUS Facilitator Manual.